The tablet market is not as buoyant as it was five years ago. Sales have been declining across the board, even for Apple’s market-leading iPad. Consumers do not feel the need to upgrade as often, and hybrid tablet/laptops like Microsoft’s Surface Pro have become popular. However, the Android tablet market has held strong and is still churning out amazing devices, even in the face of reduced interest. It’s true that Android tablets are now dominated by the few major manufacturers who have stuck around. For consumers who want a larger screen for media consumption without giving up portability, an Android tablet remains a fantastic choice. From 8-inch slates to larger 10-inch tabs that feature the very latest hardware specifications, our list of the best Android tablets 2018 has something for everyone. 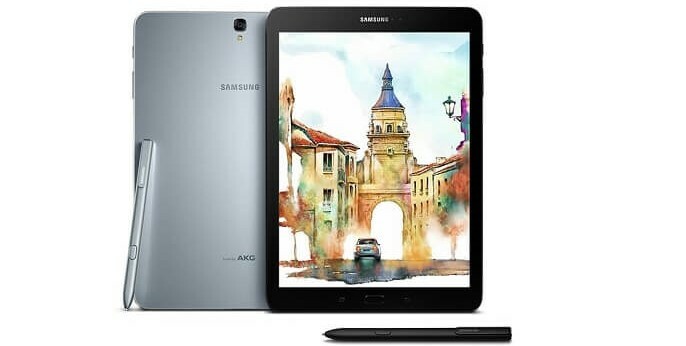 The tablet market has taken enough of a hit in recent years that Samsung is the only company to have consistently delivered high-end devices. In terms of flagship-level quality, the Galaxy Tab S3 is the South Korean giant’s latest and is a direct competitor with the iPad. It’s our favorite Android slate and is a worthy successor to the older Galaxy Tab S2. Galaxy Tab S3 is loaded with high-end specs and top features. Its processor is blazing fast and Samsung has migrated its market-leading display technology from smartphones to tablet. That means the Tab S3 will play HDR content – something the iPad is incapable of. Manufacturers are increasingly pushing Android tablets as work devices, and even laptop replacements. While we have misgivings over Android in this regard, the bundled Samsung S Pen with the Galaxy Tab S3 is a productivity joy. Almost a perfect Android slate, the only problem here is the eye-watering cost of over $500. 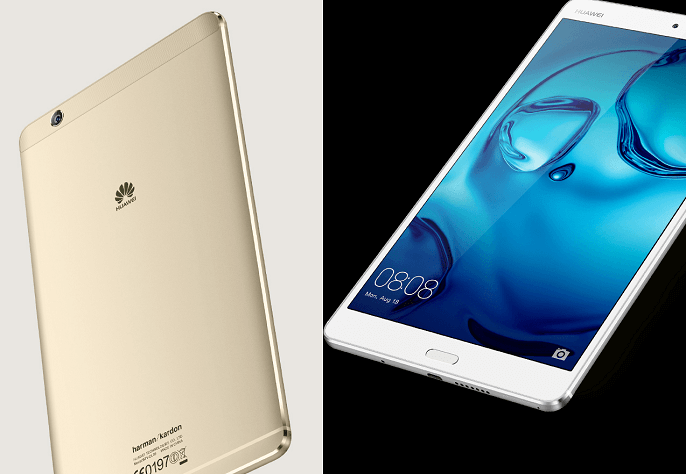 Like Samsung, Huawei has stuck with creating high-concept tablets that compete with iPad and Windows 10 hybrids. The MediaPad M3 8 continues the trend of the Chinese company, making competitive hardware in terms of design and specs but at a lower cost. In terms of affordable Android tablets, the MediaPad M3 8 checks a lot of boxes. Its proprietary Kirin 950 processor completes multi-tasking with ease, although we still prefer rival flagship CPUs from Qualcomm (Snapdragon) and Samsung (Exynos). That said, paired with 4GB of RAM, the Kirin 950 is an ample performer and powers the Huawei MediaPad M3 8 to impressive results when surfing and using apps. Kirin CPUs have never been standout when it comes to gaming, and that’s true here. Customers thinking of using their tablet as a portable gaming machine will be better suited with other products on this list. Despite that flaw, the M3 8 gets a slim aluminum chassis and specs that make it look and feel like it should cost more. Like Huawei, Asus is packing the specs in high and offering a classy Android tablet for an affordable price. Clearly taking its cues from the iPad, the ZenPad 3S 10 is an Apple clone that nevertheless takes the best elements of the iPad and creates an excellent Android alternative. The device is powerful thanks to a MediaTek MT8176 CPU that is just a solid all-round performer. Whether running through a graphically intensive mobile game, or moving between multiple apps in a short space, the ZenPad 3S 10 is adept at dealing with heavy loads. The display is also worthy of mention because it is bright and clear – one of the best we tested. We definitely like the savings to be had over the Samsung Galaxy Tab S3, but there are admittedly some compromises. For example, build quality is lacking compared to truly premium tablets, and the battery life does not match up to the Tab S3. 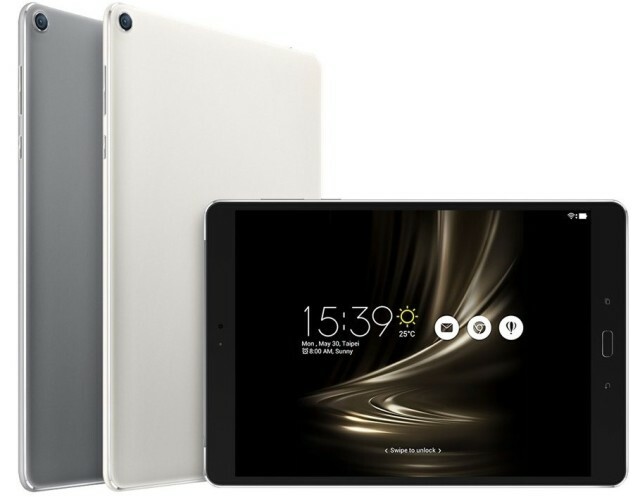 Yes, the Huawei MediaPad M3 8 and the Asus ZenPad 3S 10 have shown that high-end specs can be delivered with an affordable price, but it’s Amazon that is the master of the budget Android tablet. 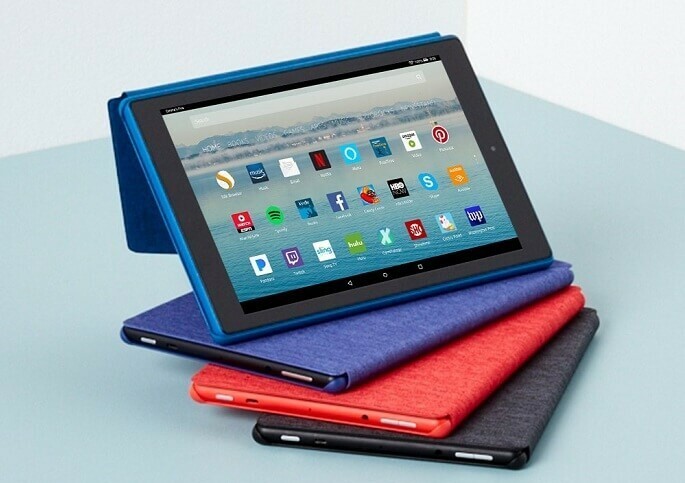 The company has been churning out competitive devices at a very low price for years, and the Amazon Fire HD 10 is the latest. A quad-core Mediatek MT8173 CPU paired with 2GB of RAM is not a lot compared to the flagships, but it is the way Amazon uses its software that makes the Fire HD 10 a good device. The forked Android platform is light and quick, and the performance on this $150 slate is excellent. However, arguably the standout of the device is its integrations with Amazon’s services. 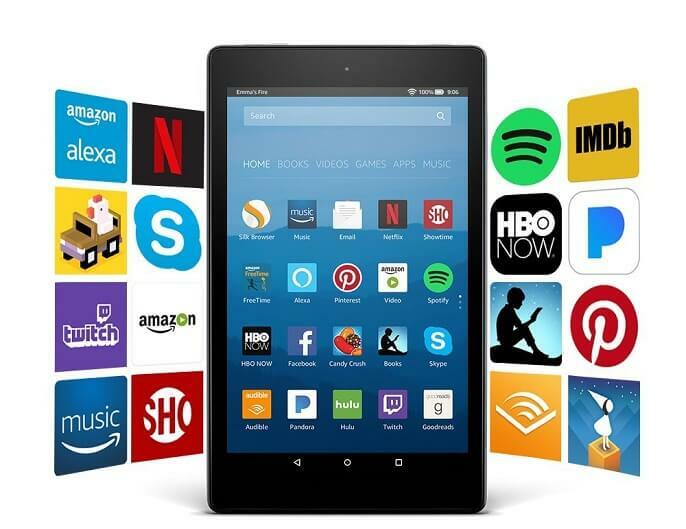 The Alexa personal assistant is the richest on the market, while the Fire HD serves as a direct hub for Amazon Prime. Yes, this Android tablet can become a truly connected smart home device with little effort. Lenovo reshaped the PC market over a decade ago with its affordable products and quirky designs. While that success has never really transferred into mobile, the company has brought its individual charms to tablets. The Yoga Tab 3 Pro is another example of the company treading its own aesthetic path while making sure quality is in abundance. This is a 10-inch slate, so it is big. 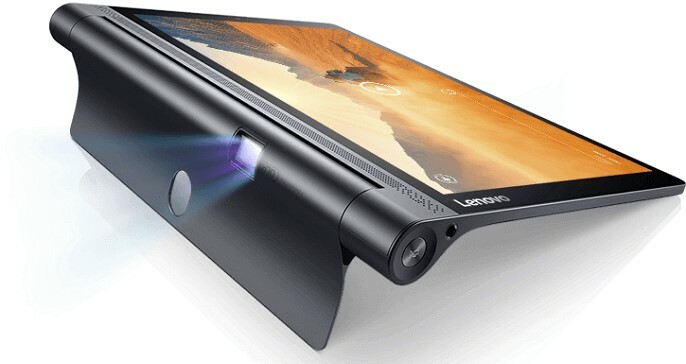 Lenovo thinks people who buy big tablets use them for media and productivity, so the company has built in a stand to take the weight of the device. With the stand, the Yoga Tab 3 Pro certainly stands out from the crowd. Media is definitely the name of the game here and the Tab 3 Pro features an in-built projector for displaying the screen onto a wall. Unique in more ways than one, Lenovo’s quirky choices do unfortunately make the Yoga Tab 3 Pro less portable than its rivals. Amazon makes its second appearance on this list because not everybody wants a large 10-inch Android tablet. The market is full of interesting 8-inch slates, including several notable examples from Samsung. However, it’s the Fire HD 8 that we think is the best all-round small tablet, not least because it is an absolute bargain. This device costs just $80 and will deliver consistently good all-round performance. From its sharp screen to decent processing power, the Fire HD 8 is a joy to use. And like its 10-inch bigger sibling, this tablet taps right into Amazon Prime and Alexa. It is a media fan’s dream and ultra-portable, so users can catch movies and music on a device that fits in a pocket. Of course, any piece of quality tech costing less than $100 has some compromises. For the Amazon Fire HD 8, the tradeoffs are a slightly slow performance, especially when multi-tasking. The screen also has too much glare when being used outdoors. Tablets today have become widespread and popular due to their sleek design, mobility, and simplicity in use. 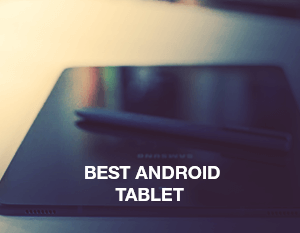 In this list of the best Android tablets, you can definitely find something that suits your needs and budget. However, please note that if you wish to enjoy some gaming, you’ll definitely need a good old decent gaming laptop for that. Tags: Amazon Fire HD 8, Amazon Fire HD 10, Android tablet reviews, Asus ZenPad 3S 10, best 10 inch tablet, best Android tablet, best Android tablets, Huawei MediaPad M3 8, Lenovo Yoga Tab 3 Pro, Samsung Galaxy Tab S3.